A new ranking just released by U.S. News & World Report highlights many of Michigan Ross’ incredible strengths, ranking the school in the Top 10 for eleven programs and specialty areas among business schools nationwide. Only one other school, Stanford, has more specialty areas ranked in the top 10. In addition, Michigan Ross was ranked #11 overall in the publication’s list of Best MBA Programs – an increase from last year’s ranking. 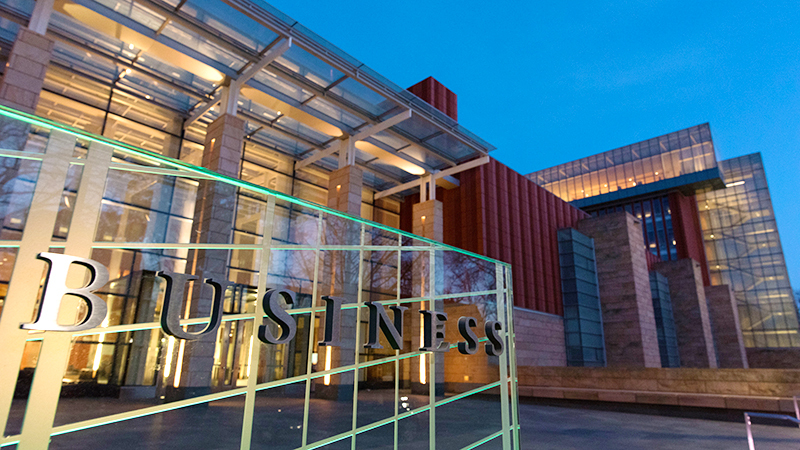 Among part-time MBA and executive MBA programs, Ross ranks #6. The rankings are based on various factors including peer assessment, recruiter assessment, and statistical indicators. The specialty rankings in which Ross placed in the top ten include: accounting (#5), entrepreneurship (#6), nonprofit (#7), finance (#9), international (#7), management (#5), marketing (#5), production/operations (#3), and supply chain/logistics (#4). All of the specialty rankings for Ross either increased from the previous year or stayed constant. The Michigan Ross undergraduate programs also had a strong showing in a ranking released from U.S. News late last year – the BBA program was ranked #4 in the nation and received a #1 ranking for both Marketing and Management.